Race Review: GK Run to Build 2014 | JustRunLah! “One World, One Race, One Goal”. This was the statement for GK Run to Build Race 2014, that was held last Sunday. Indeed, throughout the race itself, I can see the statement being brought to life through the race participants- for both 8.6km and 4.3km, themselves. It was one of the races that I have participated so far that has more foreign participants (mainly Philippinos and Caucasians) than local participants. Yet, who cares when all of us are striving towards the same goal- to complete the race and to do some charity with the race fees that we have contributed. Like what GK(Gawad Kalinga) says, we were all there “to give care”. Reaching at Bedok Reservoir Park at 7.10am, I was surprised that there were not as many participants as I thought there would be. The starting pen was narrow and yet, there were still plenty of spaces for me to do some stretching exercises. The host was busy briefing us on what the organiser- GK1 World, does, before the race starts. GK1 World aims for poverty eradication and community building in many parts of the world- mainly Asia, and it has gathered support from different sectors in Philippines itself. Its vision is to build ” a nation empowered by people with passion, faith and patrioticism” and yes, I can definitely see this spirit in the race participants throughout the race. At 7. 15am sharp, the race horn for the 4.3km race sounded and we dashed across the starting line. Across the reservoir itself and at a distance, I could already spot some 8.6km runners who were already half way through the race. That acts as a motivation for me to run even faster and to catch up with them. 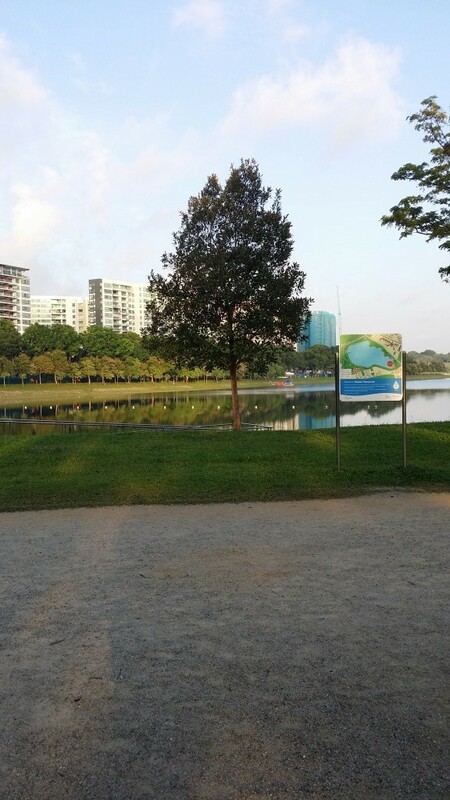 In addition, since Bedok Reservoir Park is a park that is famous amongst runners, it has wide- enough paths for us to overtake other runners if we want to. Unfortunately, my level of motivation went down a little after 2.5km due to the number of runners who were walking. Despite knowing that this is a non- competitive run, the number of runners who decided to brisk walk or stroll was pretty astounding. Though it was only a distance of 4.3km, it was hard to run with enthusiasm when you see that many people walking or stopped running half way through the run. 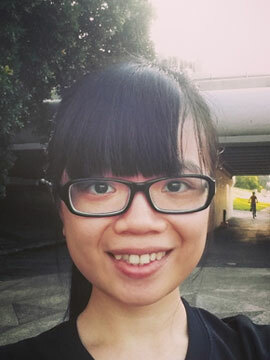 It became more like a usual training session to me then as eventually, my only motivation for the run was to surpass my personal timing for a round around the reservoir. Yet, despite such a disappointment, I was glad that there were ample water stations for both the 8.6km and 4.3km runners. Water stations were spotted at the 2km and 3.5km points around the reservoir. Sadly, no isotonic drinks was given even at the finishing point. In addition, there was no clear starting and finishing points so it was hard to gauge if you are planning to sprint near the finishing point. There were only road marshalls (volunteers) to guide you along the way. However, all these were made up with the picturesque and breathtaking scenery that Bedok Reservoir Park provides us with. 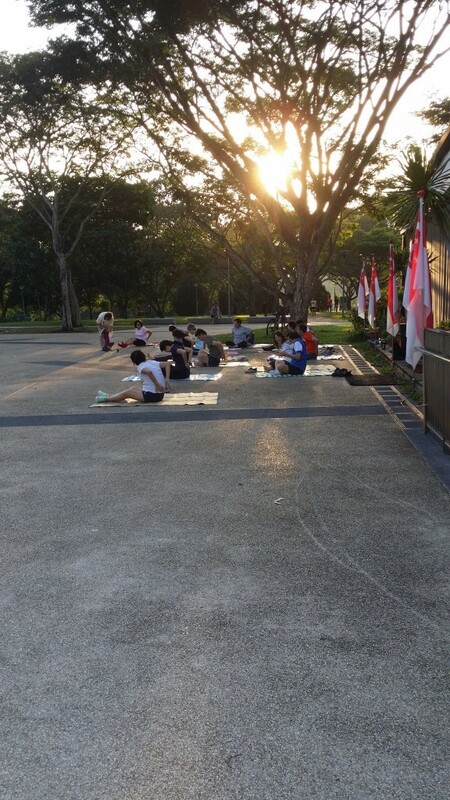 Many runners stopped to take pictures with the rising sun, the glistening reservoir and the lush greenery.It was also refreshing for many runners to see how packed and lively Bedok Reservoir Park is with groups of elderly doing exercises on their mats whilst families who live nearby were doing their Sunday morning runs. Overall, if given a chance to join this again, I will do it for charity’s sake. The lack of clear starting and finishing points, lack of enthusiasm that the host and the runners expressed, and, my preferrence for competitive runs with individual timing chips deterred me from joining this run again if it isn’t for charity. Yet, I have to mention that many of them did push themselves to at least complete the race and ran for the last 100m or so. 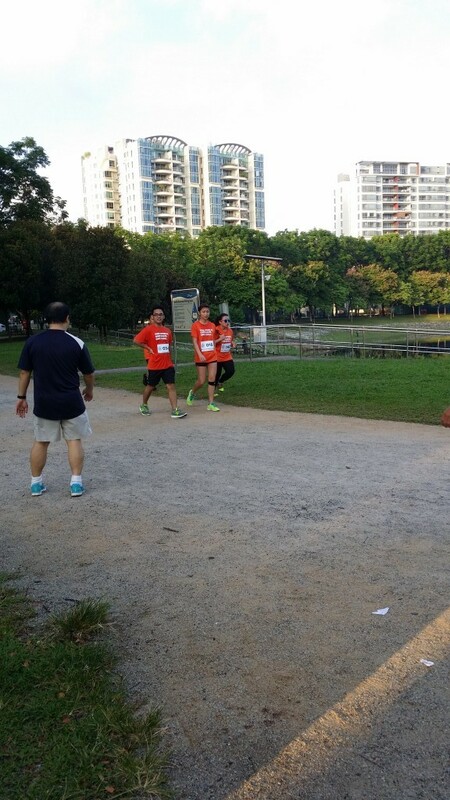 Nice to see you doing a charity run at bedok reservoir park and had a good charity run! Hi, wish you were there to enjoy the race! Yes I was there! Wish I had known you were there too! I will be blogging about that great race soon so do look out for it! No worry here and although i have not seen you in person before, but seeing another person with the tri factor bib will naturally get my attention =P We will have our chance to meet when the time comes. My next race will be Tampines Run on 7 Sept. Separately, I have sent you a facebook message and check your inbox in the “other” folder when you are free.